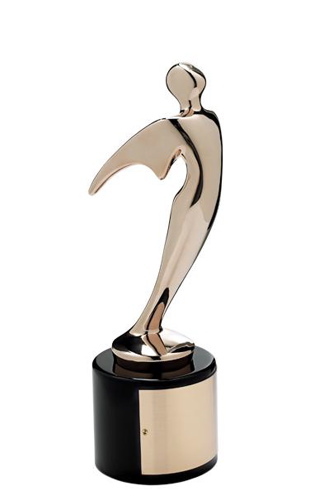 The Telly Awards honor the very best local, regional, and cable television commercials and programs, as well as the finest video and film productions. Since 1978, our mission has been to strengthen the visual arts community by inspiring, promoting, and supporting creativity. The 27th annual Telly Awards received over 13,000 entries from all 50 states and 5 continents. To view my official press release, click here. To get your very own copy before they all run out, click here! [VIDEO] How to Stop Shame From Stopping YOU! Christine – Congrats, you definitely deserve this. Your music and your words here continue to inspire people. Keep up the fantastic work. We were there and pre-ordered the DVD. I thought it would be “an archive” (big deal). When it finally arrived, we were blown away. I felt (since we were in the “nose bleed” seats the night of the concert) that I had finally seen it for the first time (again). As much as we loved it that night, the DVD just compounded it! Congratulations on all you do in this world! You are amazing, girl! Someday ViewFindersTV.com will actually be up and running, featuring all of our award winning productions! Thrilled and honored to be a part of yours – You gave us the everything a production company needs to create something very unique and special – The Talent, The Content and The $$$$ to RENDER, RENDER, RENDER! Let’s do it again – Qdoba black bean burritos on ME! Congrats from VF! Ladies and gentleman, the telly award winner, Christine Kane! Congratulations Christine! Keep your eyes on the horizon and your nose into the wind! Way cool, Christine! May this be the start of great things. Congratulations!!! The DVD is phenomenal – a nice way to have you in our own living rooms! Enjoy the success and the openings this may bring! Congratulations, Christine! And I actually DO know what a Silver Telly is (I know a guy who won one for a DVD on the First Amendment). This is quite an honor and yes, it really IS a big deal! No need to shortchange yourself there–you and Kim should stand tall and proud. Wow! though it does not surprise me one bit! Congratulations! 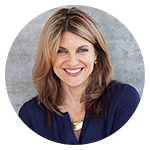 And i agree with Caren– you were so you (going by your blogs…your creativity and spirit shine…) and i know…there are more accolades on the way..
Christine! Congratulations! Annnnddd… you didn’t just show up and play. You showed up *as yourself*, you added an interview that goes into your thoughts about creativity, etc. – you were YOU! And no one else could have done that. It’s fixed! the cart should work now! hi jeanne – thanks for pointing this out. webguy was working on the cart over the weekend, and something must have been left undone. it will be fixed soon! i’ll let you know! Hey, Christine – HUGE congratulations! I’ve been meaning to get that DVD and now I know I need to get one soon. But the shopping cart works fine and the checkout doesn’t work at all – so after an hour of trying different browsers, I’m using this as the only way I can see to get in touch with you and say – “HELP” I want to by your DVD!!!! Cheers for you!! I foresee many many awards of different kinds for you on your journey of following your own path…. and your caring and sharing of it all with others!!! Good for you! Congrats to you, Kim & co.
A big congrats!! I’m sure this will be the first of many. This is way cool, Christine! Congratulations!